Ender’s Game is a classic work of science fiction, first published in 1985 by Orson Scott Card. The story follows a young boy named Andrew (commonly called Ender) Wiggin, who has been monitored and selected by the government to be, essentially, the savior of mankind by becoming the commander who will finally beat the Buggers, humankind’s intergalactic enemy. Alienated by his teachers in Battle School and ostracized from the company of his peers, all Ender can do to win the esteem of his fellow students is to beat them… every single time. 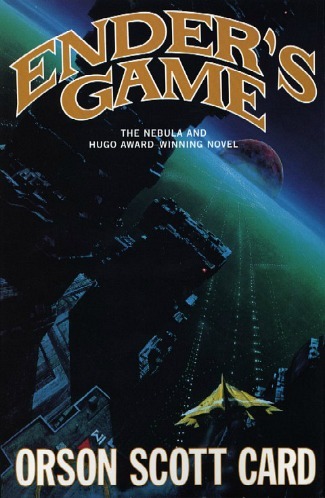 The book won both the Hugo and Nebula awards the year it was released, and spawned several novels continuing in the series. The first of these sequels, Speaker for the Dead, also won the Hugo and Nebula awards. 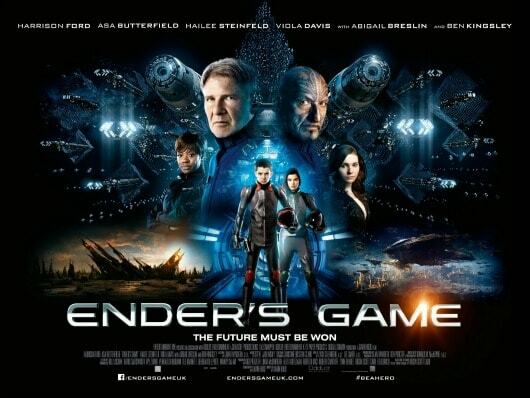 TheEnder’s Game movie adaptation debuted on November 1st, but the hype for the movie itself is of little notice in comparison to the media firestorm response to the book’s author, Orson Scott Card, and his status as a vocal opponent to gay rights. Card was essentially stricken from any means of promotion for the movie – be they television interviews or even the Comic Con panel – in an attempt to distance the adaptation of his work from association with his own inflammatory viewpoints. The revelation about Card was understandably upsetting to fans of the novel, and many groups – including the organization, Geeks OUT, which seeks to promote the LGBT voice within the geek community – have vowed to boycott the film due to Card’s statements. In fact, the values present within the novel have been widely commended, and are one of the reasons the book is so popularly taught in schools across America. (My own high school included the novel in its freshman year curriculum.) The themes of social responsibility, alienation, empathy and understanding have been deemed important for students, and the book has also been commended for its integration of multi-ethnic characters, a strong female main character, and its stance on warfare. Whether you choose to see the movie or not, both sides of the discussion have merit, and the debate itself will most likely hold just as much importance to the legacy of the film (and the novel), as the works themselves. By integrating key elements from the novel into your own wardrobe decisions, you too, can dress like a member of the Battle School, flashsuits NOT provided. 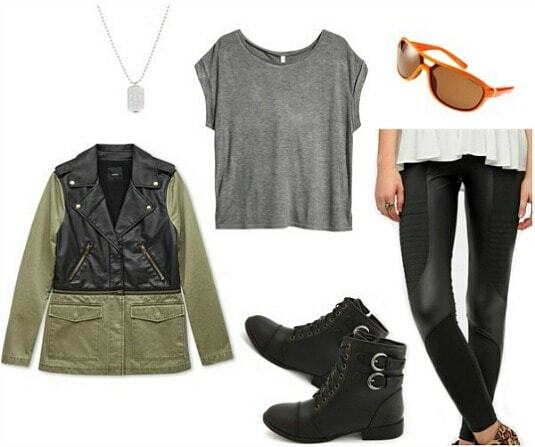 Product Information: Necklace – Asos, Jacket – Forever 21, Shirt – H&M, Sunglasses – Asos, Leggings – Urban Outfitters, Shoes – Charlotte Russe. While the novel is heavily oriented around the idea of the military and extensive warfare, the idea for the book originated around the idea of one specific battleground in particular: the Battle Room, home to the zero-gravity war games the students of the Battle School play. The book’s various military tactics and strategies – mostly oriented around this room – are one of the reasons Ender’s Game is classified under the unique subcategory of martial fiction. Utilize military and futuristic-inspired pieces to draw reference to the battle-born origins of the story, like a mixed-media coat, sleek paneled leggings, combat boots, and sporty sunglasses. Work in colors of Ender’s various battle armies, including green from Salamander, and grey and orange from Dragon. The dog tags represent more than just Ender’s status as a fighter: they serve as a reminder of his attempt to understand who he’s supposed to be… the protector, or the killer? Jacket – Aeropostale, Headband – J.C. Penney, Rings – Nordstrom, Shirt – Charlotte Russe, Pants – Forever 21, Shoes – Forever 21. In a novel that revolves around warfare and military decision-making, it follows that the main conflict stems from the friction of opposing forces. However, in Ender’s Game, the Us-versus-Them mentality permeates every single relation involving Ender. It’s not just the Humans against the Buggers here, but also the competing teams of the Battle Room. The book makes clear that divisions are more important than allies, and enemies are better than friends. Even in the beginning of the novel, it is noted that regardless of whether anyone likes Ender, they’re going to make everyone his enemy if they have to. Emphasize this distinct brand of alienation by integrating sharp divisions into your own ensemble, in the form of color choices, and distinct lines and stripes. Striped jeans and a striped top showcase the look directly, while the quilted leather in the jacket and boots is a little more subtle. A headband and a series of banded rings are the perfect accessories to break things up, and a stark color choice of black and white couldn’t be any more distinct. Product Information: Shirt – Forever 21, Cardigan – J.Crew, Earrings – Icing, Bracelet – Forever 21, Skirt – H&M, Shoes – Keds. Throughout the novel, there’s a unique tension in the writing style: the diction and overall conventional elements are easy to comprehend, but the plot detailed within is surprisingly stark and bleak. 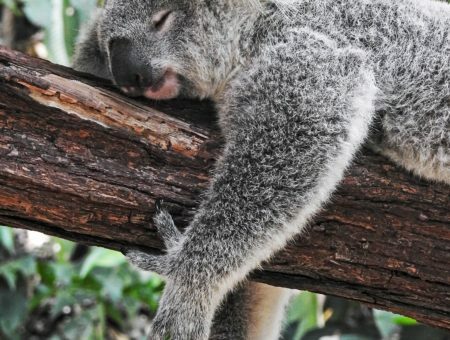 The basic words and diction juxtaposed against the complex ideology of the novel is one of the most interesting aspects of the stylized storytelling. Utilize this juxtaposition by creating the same tension in your outfit. Combine typically childlike and simplistic elements, like a Peter Pan collared blouse, a pastel cardigan, and canvas sneakers, with more sophisticated and elaborate pieces, such as a leather skirt, a dangling ear piece, and a heavy chain bracelet. Have you ever read Ender’s Game, or any of its sequels? Are you excited to see the new adaptation? What do you think of the novel, and the elements at play? What do you think of Card’s opinions, and are they affecting your desire to see the movie? What do you think of the outfits and styling tips? Let me know, in the comments below!